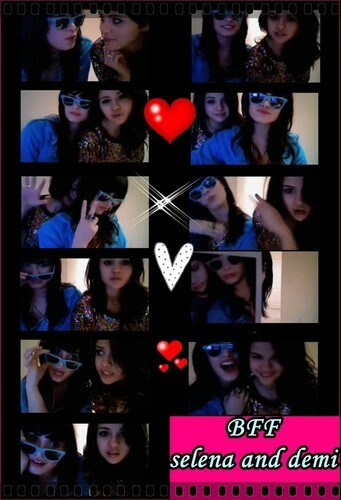 bff. . HD Wallpaper and background images in the Selena Gomez et Demi Lovato club. This Selena Gomez et Demi Lovato photo might contain vitrail. They were SO meant to be BFFs!